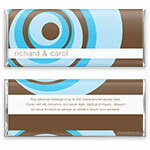 Retro-inspired and elegant, this wrapper will be a sweet complement to any occasion. 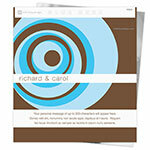 Design: Overlapping circle pattern with white text ribbon. Personalization: Front names and back message.